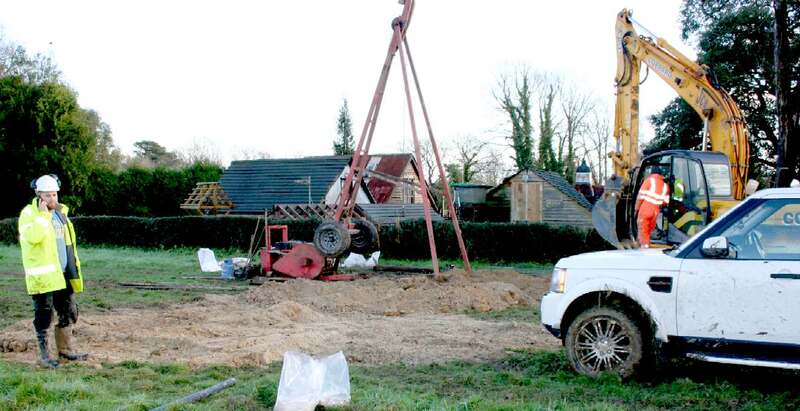 WATER RIGHTS - Clarion Housing Group and Thakeham Homes are in danger of spoiling an ancient well that supplies water to many concerns in this vicinity. 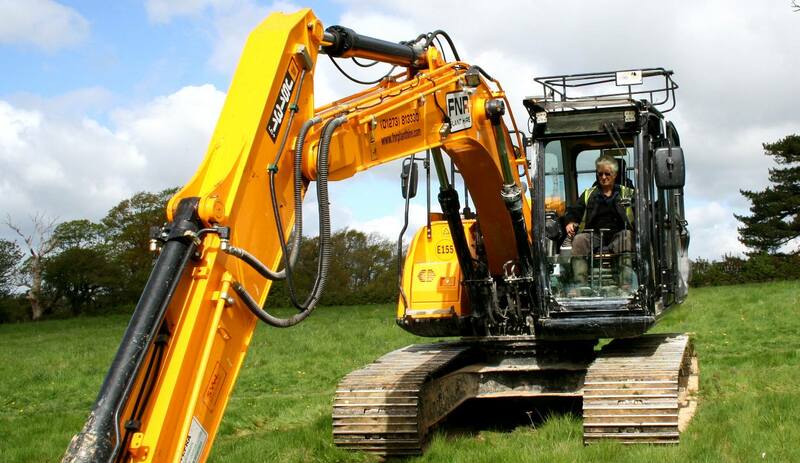 In the picture you can see a hired digger scooping out trenches to test drainage by pouring in water and measuring the rate of absorption by the soil. It seems to us that if you build houses on the ground that feeds the ancient well, that contamination from garden treatments such as Roundup and engine oils, etc., will find its way into this well leading to claims against the owners of the houses who would have been sold a pup, and/or against the Council for approving the proposal, by way of a negligence claim, and/or against the vendors or developers. Any way you look at it the developers and Council concerned should take steps to ensure that no development takes place until the proper tests and evaluations have been completed, and after that stage, to ensure that any houses built in this location will not be on a path that includes the water table that feeds the ancient well. Any failure to conduct the proper tests and house situation, along with safe sewage disposal, may tempt the Secretary of State to call in the application. We imagine that all of those with a financial interest in this piece of greenbelt will want to resolve issues before it starts to get complicated. LEAD CASE: In the case of Wealden District Council and planning application WD/2015/0090/MAO, originally filed by Tim Watson in 2014, then re-filed by Gleeson Developments in 2015, and taken over by Clarion Group and Thakeham Group, there appear to be multiple errors in applying these policies to greenbelt, including failing to protect open spaces and the historic built environment, and not promoting sustainable transport. GREENBELT - Digging up Greenfield sites for quick profits from windfall planning consents is ruining the heritage of the nation. Once it is gone, it is gone. Britain is short of genuinely affordable housing that developers are loath to provide where all they want is the money. It may be that Clarion Housing and Thakeham intend building affordable units on this site. They should also bear in mind the requirement for sustainable development in United Nations terms. Copyright photograph © April 26 2018, Herstmonceux Museum Limited. All rights reserved. You may not copy this picture except for educational use.